FlightScope Advisory Board member Mike Adams started his golf instructing career almost 40 years ago. He was named PGA National Teacher of the Year in 2016, and was inducted into the World Golf Teachers Hall of Fame alongside Butch Harmon, Jim McLean, Jim Hardy and Chuck Cook that same year. Mike has been ranked by GOLF Magazine as a Top 100 Teacher and by Golf Digest as a Top 50 Instructor every year they have had the lists. He is a five-time Section Teacher of the Year, with his students winning over 150 Tour events, 25 USGA Events, and 13 major championships among them. He has even trained 24 Top 100 Teachers, and continues to speak all over the world, training instructors on teaching methods in multiple countries and at various PGA and LPGA coaching summits. Read below to find out which FlightScope products Mike uses and why.FS: When did you first start using FlightScope products? What model was it? MA: I have been using FlightScope products for about 6 years, and I started with the X2. FS: What product(s) do you currently use and why? MA: I currently use the X3 model. The club and ball data I get from the X3 is always reliable and accurate. FS: What is it about FlightScope technology, products, and the company in general that has made you a loyal user? MA: I choose FlightScope because it is simply the best launch monitor there is!FS: What are your thoughts on the new FlightScope consumer model - FlightScope mevo - and how it might help grow and improve the game? MA: The Mevo is a great device for my students to practice with - it is affordable, portable and the data is always accurate.FS: What is your favorite golf course? MA: Royal County Down in Ireland, Royal Melbourne in Australia, and Pine Valley in America.FS: What is your favorite club in your bag? MA: Driver and lob wedge.FS: Who is your favorite golfer of all time? MA: Jack Nicklaus, Tiger Woods and Arnold Palmer.FS: Are you a fan of any other sports? Who are your favorite teams? MA: I love all sports, especially baseball and basketball. I am a huge New York Yankees and Chicago Cubs fan and I love the Golden State Warriors and the Miami Heat.FS: What accomplishment(s) are you most proud of? 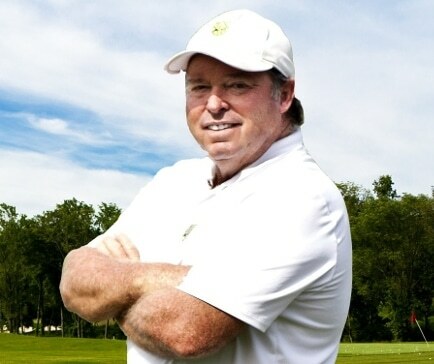 MA: Being inducted into the World Golf Teachers Hall of Fame in 2016, and having over 150 tour event wins among my students.To learn more about Mike, visit mikeadamsgolf.com.